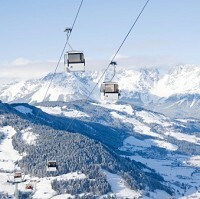 Austria has seen a "huge increase" in the number of first-time skiers heading to its Tyrol region, a new survey shows. The country is becoming an increasingly popular destination among British travellers, with the Tyrol region enjoying a particular surge in visitors. A recent survey by Tyrol's tourist board found that almost four in five Brits have never been skiing, but one in five would be keen to experience a winter sports holiday. It suggests that more people could soon be jetting off on a winter break, with those heading to the slopes for the first time likely to be looking for sports travel insurance ahead of their trip. Tyrol, which can easily be reached by flying to Innsbruck, often attracts novice skiers thanks to its open and accessible slopes. Ski Club spokeswoman Vicky Norman said first-time skiers "might be worried that they won't like it, but there are loads of other things available in these resorts as well". Highlights of the Tyrol region include spas, sleigh rides and the mountain scenery, she added.